Today is the day! This is the post I have been dreaming about writing since I decided I was going to start a blog! I didn’t want to share this story in detail until we had paid off the very last cent of our personal debts (except for our mortgage). Partly because I didn’t want to jinx it and partly because I didn’t want to share the whole story until it was complete and I could share every detail! As I shared in our Debt Story Part 1 & Part 2, we made the life-changing decision to start taking this course at the end of January. We began paying off our debt the first week of February and we made our last payment on August 31st! I think I’m still a bit in shock that we actually did it!!! It seemed so SO impossible that we would be here today. We worked so very hard the past seven months…we scrimped and saved. Struggled and sacrificed. And it paid off (pun intended)! I want to share our methodology with you in the hopes that you can use some of these suggestions to improve your current financial situation. Two main things got us here » Debt-free, except for our mortgage….two things: hard work and blessings on blessings (wait..is that 3)? We made a tight budget. Like, crazy tight. This totally sucked. It wasn’t easy and it sure as hell wasn’t fun but we did it. And minus some periodic whining, a smidgen of regret and a couple of mistakes we stuck to that tight, sucky budget! It gave us a plan and it kept us on task. We set some serious goals. Not wimpy goals like “we will pay off all our debt” but goals like “We will pay off our Chase credit card in the amount of $4500.00 by March 31, 2017“. Your goals need to be very specific. They need to be measurable and you need to spell them out in detail! I set very aggressive goals. I remember being so pumped after our first class. We went to bed and I couldn’t sleep. I had all these numbers and dates going through my mind so I typed them out in the notes section on my phone. My husband woke up for a minute (I accidentally on purpose kicked him) and I quickly told him all the goals I had set for us to pay off our debt and save money through Spring of the following year. I had an 18-month plan! We hit every. single. one. of those goals…early and the final payoff on the exact date we set! But more importantly, I get to remind him every day that I was right (obviously). This was tough. Like, really tough. We used our cards and paid them off each month, and for a long time and this served us well. Unfortunately, it caught up with us and “emergency” after “emergency” happened and before we knew it we were in a big ole hole. We didn’t realize how much we were spending because we just swiped and signed and didn’t feel the purchases. This left us constantly wondering how our bills were so high when we thought we were barely spending any money. Instead of just “not using them” we went a step further by cutting them up and closing the accounts. We cut up all of our personal credit cards except for our one main card. Currently, we only use that card for the auto-pays (which we plan to switch to our debit card in the near future) and to pay for our gas, because who the heck has the time to go inside the store to pay? We used to pay for nearly everything with our credit cards. 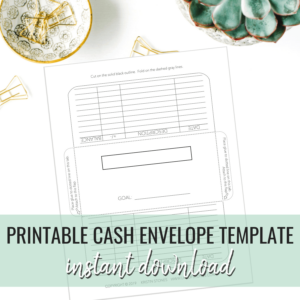 Changing this one major habit not only made a huge impact on our bottom line but it allowed us to stick to our budget since we had a better handle on our spending! This was a tough decision for me particularly! My Mother was in the insurance industry for 20+ years (not as an agent) and she believed in this product very much. She generously got a policy for me when I was in high school and so when my husband and I got married we figured we should get one for him as well. Dave Ramsey speaks out very strongly against these types of policies. After taking his Financial Peace University Class, and after much discussion and counseling with both my Mother and our Financial Peace Coordinator, we decided to cancel the policies. We had adequate Term Insurance already in place and felt confident that this was the best decision for us at this time. Between both of our policies, the cash value amounts refunded to us totaled over $12,000! That was almost 35% of our total debt! My husband signed up for overtime and made it a goal to have “something extra” in every pay period. Whether that was a holiday or an overtime shift, he tried to schedule it accordingly so that no paycheck was his base pay. I requested extra hours at my job, worked to sell some of the extra stuff we no longer needed and started a blog! I mean, technically this was all my husband since he is the Veteran. I know this won’t be an option for a lot of people but it paid a large chunk of our debt off. This was one of our major blessings through this process. A few years back my husband had filed for VA benefits for some health issues he has related to serving in the Marine Corps. It was a long process, initially, he was denied then his case sat in appeals for a few years. One day a letter showed up in the mail letting him know 1 out of his 3 claims was approved! While it’s only a small amount of money each month, when your case is finally approved you get paid retroactively to the date you filed. He received a few thousand dollars in back benefits and we were so grateful! It was such a huge surprise! I truly believe that God kept his claim from being approved until he knew we wouldn’t waste the money. If you are a Veteran and you have a service-related disability this website can help you see if you are eligible to file a claim for benefits. And we thank you for your service!! I guess this is kind of a no-brainer. If you receive a refund from your tax return and you have debt it’s a great opportunity to really make a dent in your debt! I hope this will be the last year we get a refund. We’ve always kept it this way because we “needed the money” come tax time. It feels like you’re getting a bonus, even though you’ve really just given the US Government an interest-free loan for the year. We were always terrified of having to pay in and never knowing how we would come up with the money to do so. Now we are planning on adjusting our withholding so we [hopefully] come out even next year! I realize some of these may not be possible for everyone but I wanted to share them in case some people could utilize these options! I encourage you to come up with a plan. 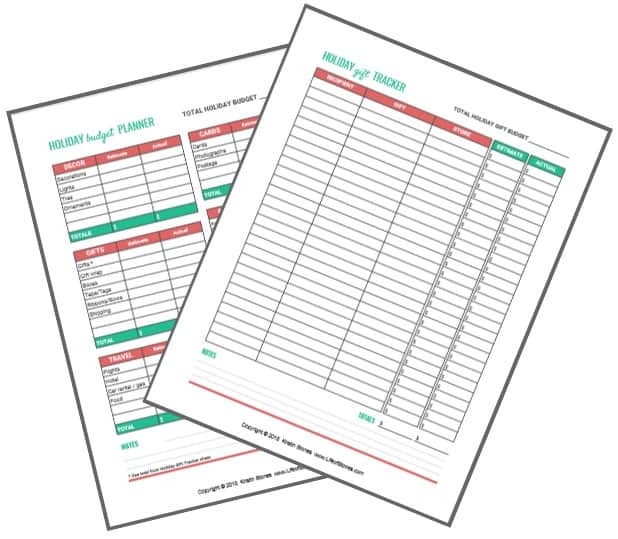 You can download my Financial Inventory Worksheet for free and get a good picture of your current financial situation. 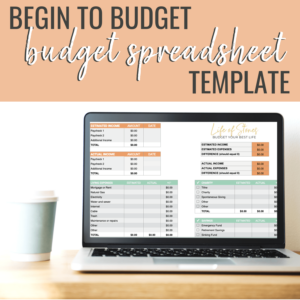 Next, create a budget and get to work! As thrilled and grateful as we are to have gotten where we are, there is one thing I regret: that we didn’t start earlier. Had we begun this journey a year ago where would we be? Five years? What about you? If you start today, right this minute what might your life look like a year from now? I promise you the missed birthday parties, vacations and nights out with friends are FAR outweighed by the security and peace you will feel once you get your debt paid off because no THING feels as good as being debt-free! This is an inspiring and eye opening article with creative ideas that one can make extra money. I loved reading your post. I’m in the process of figuring out a plan for paying off my family’s debt, and I’m struggling to figure out where to start. I’ve start going through Dave Ramsey’s Total Money Makeover Workbook and completing the exercises, but it feels so overwhelming. Than you for sharing your story. Hi Amy! Thank you and I agree, it is overwhelming! If you’re using the Dave Ramsey system try to focus only on the step you’re on. That makes it a little bit more manageable. I find that when we try to look down the road too far it all feels impossible! Sitting there looking at all your numbers can be so tough. But you can absolutely do it! Don’t worry about college savings, or retirement or even paying off your house yet. Just focus on creating a budget and sticking to it, then move to your emergency fund, then your debt snowball, and so on…I’m rooting for you! The thing about Term vs Whole Life life insurance is that more than 90% of Term policies expire before you die, meaning that there is never a payout from them. People mistakenly think that insurance companies make their bank on Whole life policies, but in reality they make their money selling Term policies that will mostly never be paid out. Whole Life policies are good for your whole life, meaning 100% of those policies will be eligible for a payout once the policy holder dies. Another thing about life insurance that most people don’t understand is that if you die without it, thinking that the money in your estate is good enough to cover your funeral etc, you run the risk of leaving your loved ones to come up with the money to pay it themselves with money that doesn’t come from your estate at all. This is because oftentimes, when you die, your assets / estate oftentimes gets frozen for several months so loved ones aren’t guaranteed to have access to all that money, leaving them in a bind. But having a Whole Life policy available to them enables them to pay for your funeral etc without financial difficulty, even if you have the money to cover the cost of it all elsewhere. No, I’m not an insurance agent. But I know someone who is and he’s seen this happen with some of his clients that chose Term coverage** and their families were left scrambling because the policies were no good anymore and they couldn’t get access to the deceased person’s money to pay for it until several months later. Dave Ramsey has a lot of great advice about getting out of debt, but this is one area where he’s leading his followers astray financially. **Term coverage is good if, for example, you buy a house and you want to get some extra life insurance to cover your mortgage (which is also only a term thing) in case you die before it’s paid off. But unless you die young, Term coverage will be expired (and therefore worthless) if you’re depending on it to cover your funeral. Hi Cassie! Thanks for that comment! I see where you’re coming from. As I mentioned in the article my Mother was in the insurance industry for almost 30 years so we did lots of research and counseled with multiple people before making the decision to cash out our policies. This blog is really about sharing what worked for us, and that might not necessarily be the right decision for other people and while I agree with you that this might not be the best decision for everyone, it definitely was the best decision for us! The whole point of insurance is the assumption of risk. I’m paying the insurance company to assume that risk until I’m able to do so myself. I sure hope we never have to get a payout for these policies! The point of term is strictly to replace the income of my spouse and to protect me (or him), financially, during that term of our lives when we would be financially devastated by the loss of our spouse. One of the reasons that Dave Ramsey focuses so much on term is that is you follow his plan eventually you will no longer have the need for life insurance because you will be financially free and have more than enough money to cover your funeral expenses and to leave to your loved ones. I understand that assets can be frozen but insurance payouts can also be delayed for a long time as well depending on the situation. completely agree on your information. The worst decision was to cash out a whole life policy to obtain the funds – that leaves you family in a bind for the gauranteed funeral cost expense. Term is good the “if I die” in this time frame to cover my expenses policy. LOVE LOVE this. My husband and i took Financial University after we got married and it was a life safer!! Congrats! I’m kind of terrified for when I graduate. I have very little debt, except for my student loan which seems like this big, scary monster that I’m going to have to face in a couple years. I love the tips you’ve shared, and it’s inspired me to take action now, before I even graduate! This was awesome!! I am almost debt free myself. I just have 2 student loans and I am done. Excellent article. That’s so great, you’re almost there! Thanks for sharing your story! It is really inspiring to read, and makes me feel like I can do it if you guys did it! 🙂 So happy for you! Thanks Rose, you definitely can!! Thank you for sharing what an amazing journey. Being disciplined is so hard but very rewarding! What an awesome story! I love Dave Ramsey and his teachings kept me from losing it all. Congrats! Kristin you have absolutely inspired me with this post, thankyou! I will definitely be taking your advice! Thank you Lauren, glad to hear that! My two-year Get out of debt plan will begin this upcoming November! I have that similar amount. Insightful tips! Oh good for you!! 2 years will fly by! What an insightful read! My husband and I are in the process of trying to save money for a house and really need to get a budget in place. Fantastic story! Thank you so much for sharing and congratulations on becoming basically debt free! We have stopped using our credit cards and it has been so freeing! Just knowing we are getting closer to not being in red every day is so awesome! You are inspiring, girl! It really is, good for you! Thank you! Really awesome girl! So inspirational too! What an incredible story and fantastic tips! I haven’t had to pay off debt like this yet, but you make me hopeful for one day if I do have to! Wow!! Congrats and awesome job! Way to make it happen! I have heard so many people that have done Dave’s plan and have been blown away by their success. I know it’s a lot to stick to, so way to go! Thanks Melanie, it’s a great plan! Each and every one of these tips will be helpful for paying down my student loans! First up: set some killer goals and stop using credit cards! Yess! You got this, Lauren!! Congratulations! We set a strict budget, too, and it felt so good to see our bank account rise! Thanks Susannah, that’s the next step for us! !